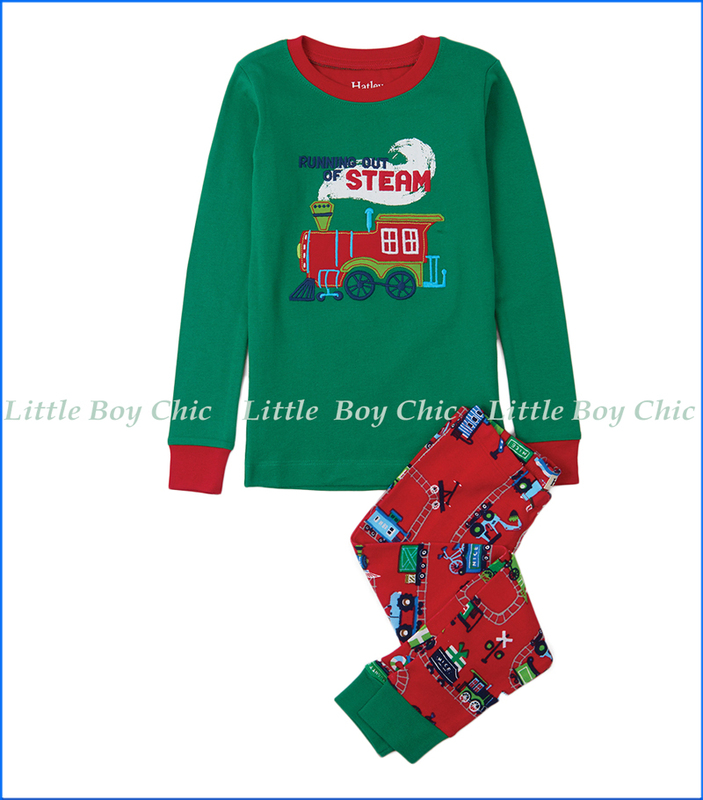 Great looking train applique by Hatley, on eco-friendly and cozy cotton. This PJ is lovely. Made to be snug fitting. Elastic waistband. Contrast neck and cuffs trim.